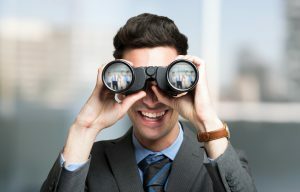 Binoculars are really helpful if you want to have a clearer and brighter view of objects farther from what the naked eye can clearly see. These are commonly used among outdoor enthusiasts, like hunters and hikers, for an “extra set of eyes”. However, binoculars are not only limited to outdoor people because they can be useful in other ways too. 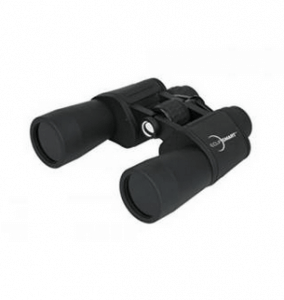 To make sure you get the best binocular, it is important to understand what you should look for in the product. 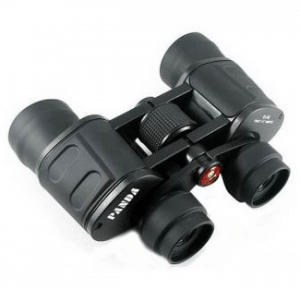 Here, we will share with you the buying guide on how you can best choose a binocular. 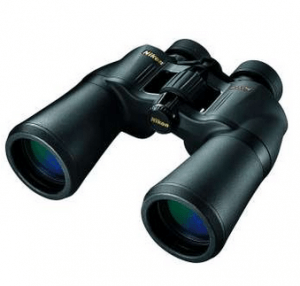 Along with that is the top 10 ranking of the best binoculars you can choose from. Without further ado, let’s begin! 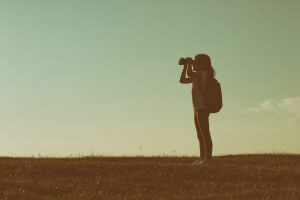 To know what essentials you should look for in a binocular, we will explain the significant factors of buying a binocular. Each factor contributes to the features a binocular should have, so take note of these essentials. It can also affect the decision you’ll make when buying one. So, maximize this buying guide to make sure you’ll get the best binoculars on the market. Basically, the magnification of binoculars is determined with a set of numbers, comprising a measurement (n×n). You normally see 20×60 or 10×50, depending on your desired degree of magnification. But, there’s a lot of types of magnification out there aside from what you usually see. The first number is the magnification strength, which is the number of times closer the object is to you. For example, a 10×50 binocular allows you to view the object 10 times closer. The second number, on the other hand, is the lens size, which generally indicates the amount of light the lens can obtain for a brighter viewing. Choosing the right magnification depends on how you will use your binocular. Binoculars on the market today are designed for different uses too, so you’ll need to be really picky. You only need to match the right magnification to your field of view so you can achieve a satisfying view. For general use and hiking in the mountains, hunting, and concerts, the ideal magnification measures are 10×50, 7×10, and 8×25, respectively. The important thing to remember, however, is to understand the idea that the higher the magnification is, the lesser is the field of view. 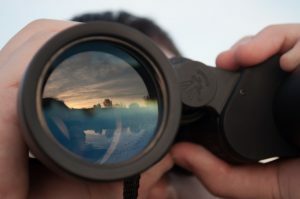 So, if you’re hunting a wild animal, better get binoculars with a lesser magnification so you can have a wider field of view, increasing your chance of seeing it. Of course, you would want a clearer and brighter view of your object, and relative brightness is responsible for that. It can be distinguished by the diameter of the lens and magnification. To put it simply, if you want to have a brighter view, you need to get something with a lower magnification. It is also essential to remember that the higher the diameter lens is, the larger is the glass lens. Thus, the recommended diameter is around 20 mm. To put it simply, the field of view is like the “width” of the image you see using a binocular. If you’re looking at a tree through your binocular, you can see clearly the tallness of it depending on the field of view of your binocular at a farther distance. It can be indicated as an angle in degrees or width in feet. However, if you prefer using the linear field, which is in feet, then the angular field, which is in degrees, you can simply multiply the angular field with 52.5. For example, if the angular field is 8 degrees, you need to multiply it with 52.5, and you’ll get a linear field of 420 feet. At 1,000 meters field of view, the image you see through your binocular is 1,000 meters away from where you are. To know your field of view at 1,000 meters, you need to follow a formula: tan (field of view °) × 1000. For example, for a binocular of 8×42 with a 7-degree field of view, your field of view at 1,000 meters is 122.78m. The calculation looks like this: tan (7) × 1000 = 122.78m. Aside from the binoculars’ specs, it is also important to consider its ease of use. Binoculars by nature are somewhat heavyweight primarily because of its body’s material, usually made of rubber. However, as technology rapidly progresses, manufacturers have created binoculars that are quite comfortable and convenient to use. Thus, you need something that’s handy and lightweight so you can easily bring it wherever you want and you won’t get tired to use it even in long periods. 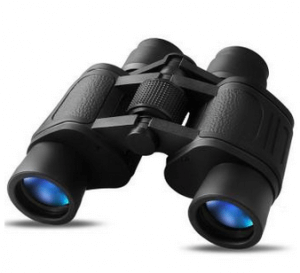 Now, let’s reveal the top 10 best binoculars to buy online. Please check each description carefully so you will know which suits you best! Suncore promises binoculars with shockproof and anti-fog features that won’t damage it when accidentally dropped or won’t hinder your sight when it’s foggy. These binoculars are also waterproof, letting you enjoy the view even when it’s raining or even when it’s accidentally splashed with water. This is incredible for hunters, hikers, and other outdoor activity lovers who love exploring nature and other outdoor explorations. The binoculars can also give you field of view at 1,000m of 142.32m. It’s made with FMC lenses as well that give you a clearer image, letting you enjoy your field of view. Celestron offers binoculars especially designed to protect your eyes from the sun. Its lenses are equipped with a solar filter technology that assures you no harm to your eyes if you like watching the sun as per the product’s instructions. This is perfect for people who like to observe the sun and anything related to it. Its field of view at 1000 yards is 361 feet, providing you with a very wide field of view. Its lenses are multi-coated as well for a greater light transmittance, giving you a clearer image of the sun. It also has the ability to enhance the color of the image, letting you see its sharp details. Nikon introduces binoculars with multi-coated eco-glass lenses that offer a brighter and clearer field of view. The lenses are made of BAK4 Porro prisms that stay consistent with its performance regardless of lighting conditions. This is wonderful for people who like sightseeing as they can enjoy the views without worrying if the field of view is a little dark or bright. 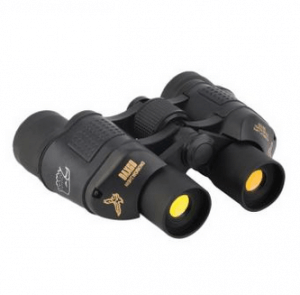 These binoculars also have distinctive turn-and-slide rubber eyecups that you can adjust to perfectly position your eyes for a more convenient viewing. It is covered with a slip-resistant and strong rubber for an easier grip even when it is wet. 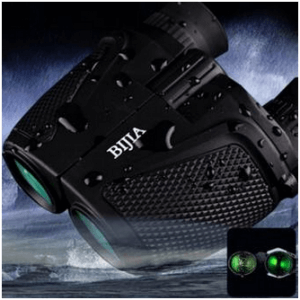 These uniquely made binoculars allows you to spot your prey with an HD night vision feature. It gives you a high-quality image even when there’s only a low level of light, but not in total darkness. This is ideal for hunters who are always on the lookout for their target animal, even during dusk or dawn. The binoculars also give you a field of view at 1,000m of 144.1m. Its lenses are multi-coated with a red for a better light transmission, providing you with a clearer and brighter image. You can clearly watch your prey as well at a distance up to 3,000m. You can take advantage of its close-focusing distance at around 20 feet. With its close focus distance, you can use it in a museum to see collections in details. Its eyecups are made of a soft rubber for a more comfortable viewing. It is also designed as foldable, allowing you to adjust the binoculars according to your eyesight convenience, too. Its magnification of 8x might not be sufficient for some people, but it is nice binoculars for indoor use. These binoculars are specially designed with a waterproof feature that allows you to use it during rainy days. It’s completely covered with rubber that doesn’t allow water to penetrate even if it’s a huge amount. The rubber is designed to resist slipping as well for a more convenient grip. This is excellent for campers, hunters, and nature lovers who don’t want rain to stop them from their adventures. Its BAK4 Porro prism lenses are specially designed to let you see images clearly even when it’s bright. The lenses are also coated green, allowing a good light transmittance for a brighter image. 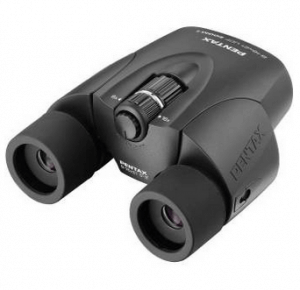 These binoculars allow you to take advantage of its wide field of view of 170 feet at 1000 yards. With its one-touch focus system, you can also lock your focus on your subject, guaranteeing the sharp details of the image. This is great for people who love to watch concerts and events in an open field as they can benefit from seeing their subject fully at a farther distance. It has multi-coated lenses as well that assure good light transmission, providing you with a clearer image. Its body is covered with an anti-slip rubber for a more convenient handling. Although it’s quite heavy, it offers great stability when held. These binoculars promise to let you see things with a superior quality. Its lenses are amber-coated that allows a better light transmission for a sharper viewing. This is recommended for bird watchers and for people who love sightseeing as it can give them the best image quality for a more enjoyable viewing. These binoculars also have extinction patterns that increase color saturation and lessens stray light. Its 18-mm eyepiece offers great and wide-angle vision too. Its smooth focusing knob lets you experience a flawless zooming. It’s also covered with an eco-friendly rubber that’s resistant to slipping. 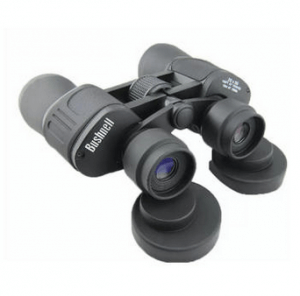 The number 1 on the list boasts with fully multi-coated binoculars. This feature does not only create sharp and clear images but also helps block harmful ultraviolet rays. This is highly recommended for hikers, hunters, and mountain climbers who are always on the go even when the sun is at its highest peak. 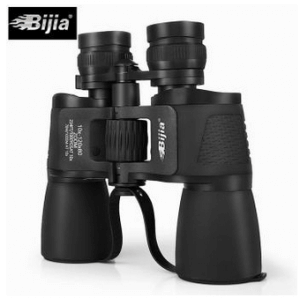 Its dual-axis, single-body housing provides you with a splendid and unique design than common binoculars. The binoculars’ center focusing knob locks diopter as well aside from its responsibility in zoom control and easy focusing. Have you chosen which binoculars suit your needs? If not, you can always go back to the buying guide to help you assess how you will find the best binoculars. 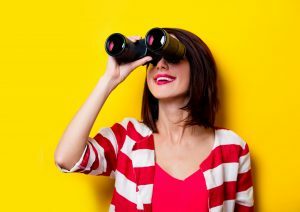 It may be challenging to choose the right one, but with careful screening, you’ll definitely get the best binoculars for you!